H ιδανική λύση σε περίπτωση που ο ηλιακός θερμοσίφωνας παρουσιάζει , λόγω υψηλών θερμοκρασιών και πιέσεων , ένα συνεχές "στάξιμο" της βαλβίδας ασφαλείας του. Με αυτόν τον τρόπο το θερμοσιφωνικό σας σύστημα θα σταματήσει να καταπονείται από υψηλές πιέσεις και θα αυξηθεί η διάρκεια ζωής του ηλιακού θερμοσίφωνα. 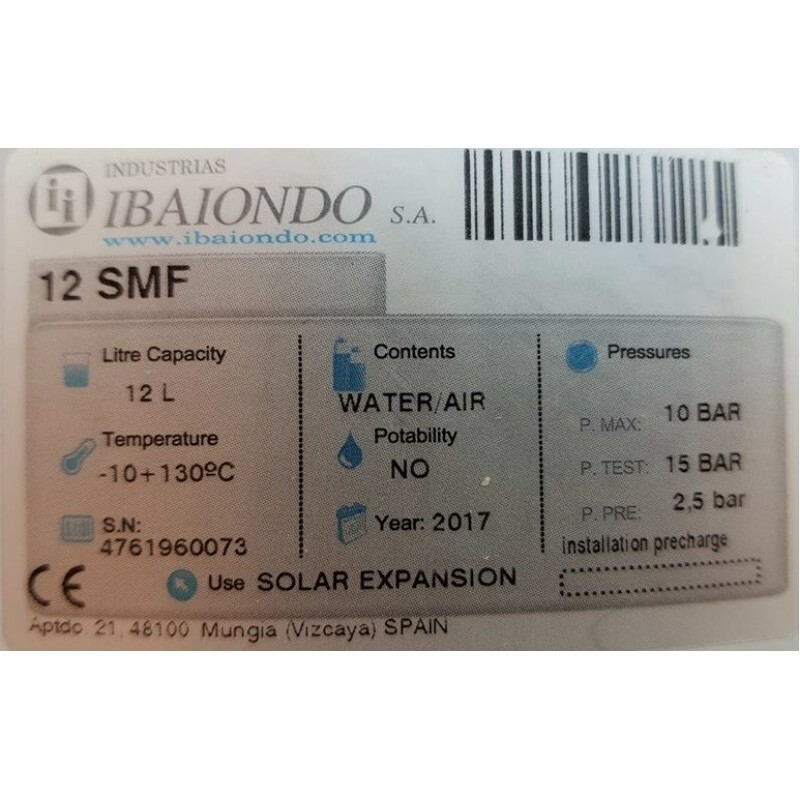 * Maximum working temperature: considering that the solar panels can be producing maximum temperature points, the elastomer used in the bladder has the capacity for supporting 130 oC at least for one hour. 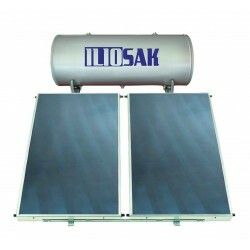 Application: This tank is used in hot water storage tanks for expansion vessels for solar energy systems. 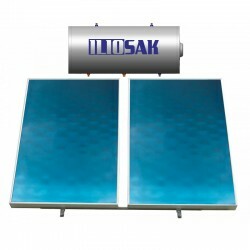 Solar expansion vessels as with any sealed system, the pumped circulation solar system has to have an expansion capability to cope with fluid expanding as the temperature increases. Also, in the solar system, the expansion vessel diaphragm has to have the ability to work at higher temperatures than that expected of a standard heating vessel. 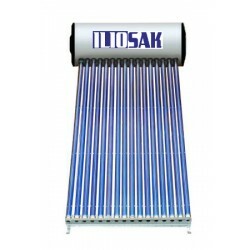 The vessels have been designed to function in high temperature solar installations. 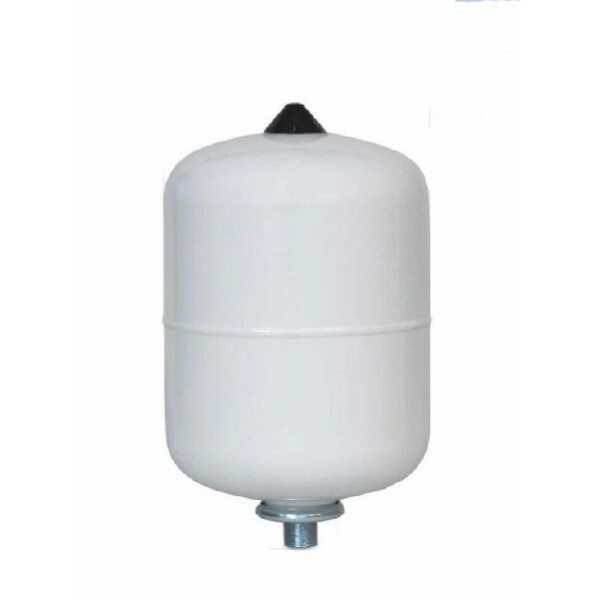 System fluid capacity dictates what size vessel is used, although most domestic applications require a capacity of between 18 and 24 litres. 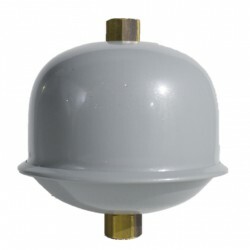 An additional item which should be included when purchasing a vessel is the vessel isolation connection valve. 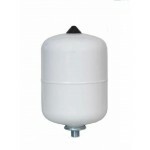 This allows the vessel to be removed for maintenance without draining the fluid from the system. 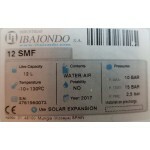 They are used in the solar installations in combination with the expansion vessels. 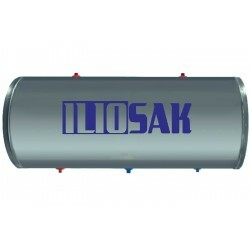 The Intermediate vessel VI protects the membrane of the expansion vessel against the high and constant temperatures which surpass the set limits (130ºC for more than one hour). 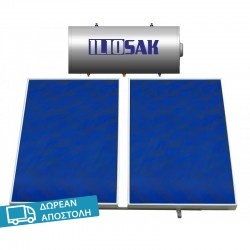 The aim of this vessel is to decrease the temperature that a liquid proceeding from the solar collectors can reach, offering a thermic protection to the membrane of the expansion vessel. 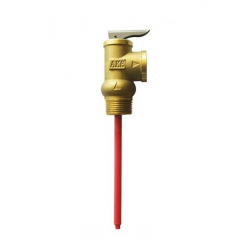 The Guidelines VDI 6002 advises an intermediate vessel when the pipe volume between the collector and the expansion vessel is under the 50% its capacity (Installations In roofs and short length circuits) it is directly installed in the pipe, between the collector and the expansion vessel. Operation: The cold solar fluid remains in the intermediate vessel. In case of being excessive temperatures or extreme boiling of the liquid proceeding from the collector, the fluid will be mixed with the contents of the intermediate vessel before entering the expansion vessel. The Intermediate vessel will have to be isolated to fulfil its purpose.